Environmental activists say that schemes obliging Serbia to renew more electricity from renewable sources have benefited a few privileged contractors – and are wrecking the natural habitat. 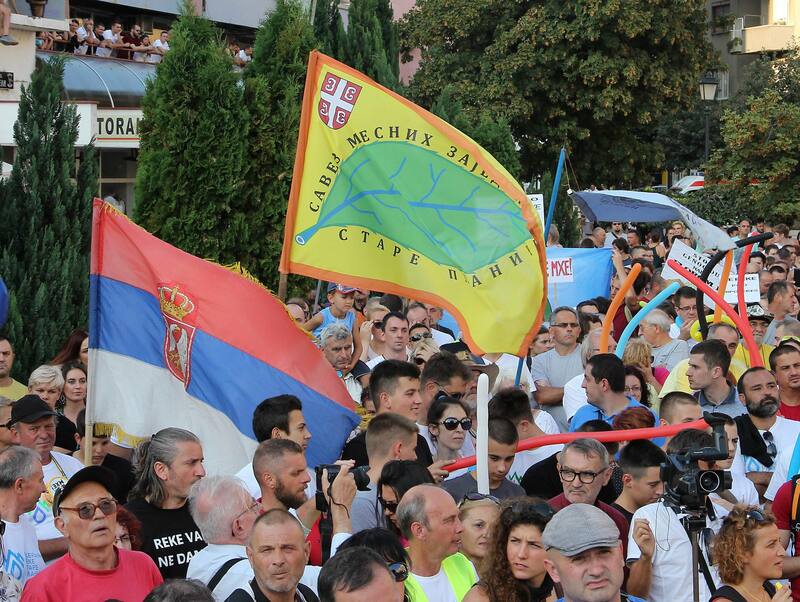 Thousands of people from all over Serbia gathered in the first days of September in the small southern town of Pirot to protest against the construction of hydropower plants in the Stara Planina area, making this a biggest public protest in Serbia in years. It was generated by a grassroots campaign of local activists to defend the rivers of Stara Planina in southeast Serbia. They were alerted by the devastating effects that the small hydropower plant construction had in the protected nearby national park of Kopaonik, Aleksandar Panic, a founder of the activist group Protect the Rivers of Stara Planina, said. “In Kopaonik and Vlasina today, we have dry river beds and destroyed nature, and this is what we want to prevent here by all possible means,” he said. Panic and his co-activists were involved in a grassroots campaign informing people in the villages and towns around Pirot and all over Serbia about the irreversible damage that some small hydropower plant projects have done to nature. “People believed that these projects were about small, romantic-looking power plants, producing energy for the local community. They had no idea what this is all really about,” Panic told BIRN, explaining how they motivated local people to join them in the struggle. “Instead, it is a well-organised scheme for pumping the money out of energy system for few privileged contractors – and wrecking the natural pearls of this country in the process. Serbia has undertaken an obligation to the European Energy Community to make its energy sources greener, and obtain some 27 per cent of its electricity from renewable sources by 2020, as part of a global effort to reduce the carbon imprint. The interest of private contractors in this project is clear. By investing in small hydropower plants they secure higher prices for energy they deliver to the national energy network. But things have not worked out so well for the local communities.